Fet’s is Vancouver’s premier whisky destination. Established in 1986 they have grown their collection to over 750 different bottlings, all of which are available for the whisky aficionado. 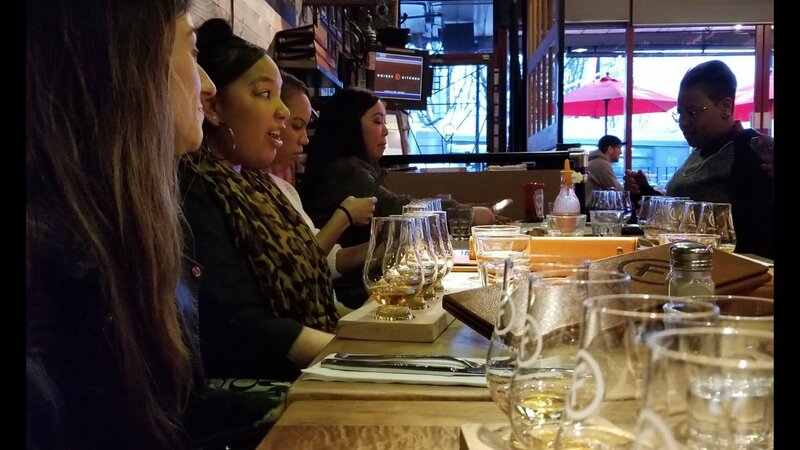 Enjoy a night on a Commercial Drive exploring our local whisky culture. We start the night at Fet's Whisky Kitchen and then work our way up the Drive exploring our live music and night life venues as well as more whisky. Our first stop will be at the Royal Canadian Legion’s newly opened Whisky Room for some Canadian Whisky including our award winning Canadian (Northern Harvest) Rye. Starting the tour here also helps us support our Canadian vet’s. Our next stop will be Merchants Workshop where we will be sampling some of Japan’s finest whisky offerings. Guests have the opportunity here to grab a bite of Chef and Owner Doug Stephens awesome food. Our next and final stop is Fet’s Whisky Kitchen where Jaimie had his first bussing job while going to nearby Britannia Secondary. Here we will be sampling the finest whisky Vancouver has to offer.